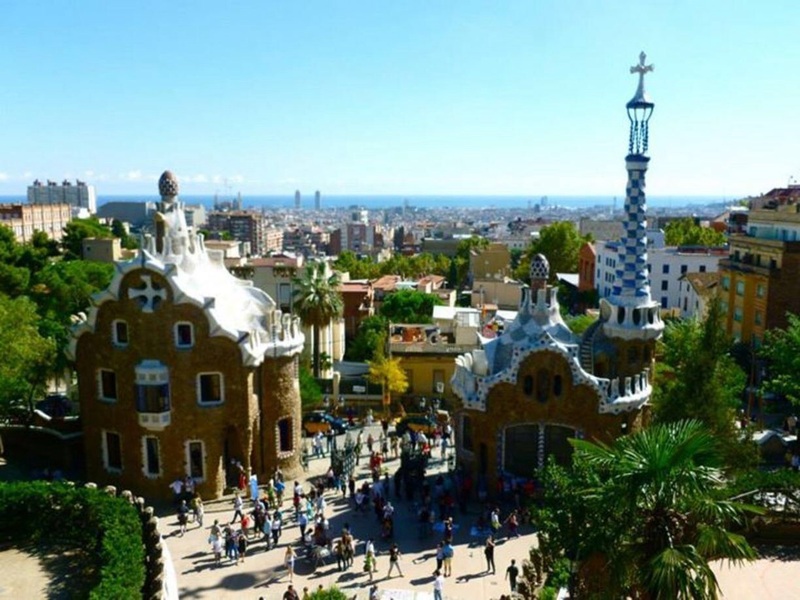 Barcelona, Spain, has become one of the most talked-about cities in all the world. And it’s no wonder because of its pristine beaches, rich history, unsurpassed architecture, and raging nightlife. The city has a little something for everyone, and nobody leaves unhappy. When it comes to the grand hotels and resorts in Barcelona, you can find anything from boutique hotels to spa resorts, luxury hotels to hotels with a beautiful ocean view. The options are limitless for the seasonal or everyday traveler. A contemporary arts hotel dusted with a stylish flair is a unique spot to lay your head if you’re traveling to Barcelona. Hotel Arts Barcelona not only offers spectacular panoramic ocean views, but also a beautiful backdrop of gardens, sculptures, and floral displays throughout the hotel. On one end of the hotel you can find the famous fish sculpture by Frank Gehry, Peix in Catalan, next to the shimmering outdoor pool. On the other you’ll find a Mediterranean waterfront just steps away. Make your way up to the 33rd floor to The Club Lounge, where a dedicated concierge can assist you with an array of services. An award-winning beachfront hotel located across from the Barcelona boardwalk is a splendid choice for your holiday trip. W Barcelona offers some relaxing spa packages and delicious menu options at its many culinary escapes. Come here if you are planning an event for your best friend’s wedding or just a family friendly getaway that’s close to the beach. For the most ideal leisure and business hotel in Barcelona, Pullman Barcelona Skipper takes the cake. The Pullman Barcelona Skipper features 241 comfortable rooms, two pools, a gym, and a spa, as well as conference rooms that can hold up to 800 people. It’s one of the hotels that businesses choose due to its prime location and leisurely amenities. Don’t worry, they feel that it’s their duty to treat you like the royal family at Hotel Barcelona Princess. The 26-floor hotel with 363 fully equipped rooms adds to the city’s architectural splendor and is conveniently located just 20 minutes away from the city centre. The four-star hotel is a great presence in the community and offers many different amenities, such as spa treatments and six different conference rooms, all soundproofed and equipped for your every need. Indulge in the luxurious views of the Balearic Sea from one of the many ocean-view suites that Eurostars Grand Marina Hotel has to offer. It’s without a doubt one of the top hotels in the city that offers an array of amenities like a rooftop deck, outdoor pool, the Aire de Mar restaurant, which features exquisite Mediterranean dishes, and much more. If you’re looking to escape the tourists and crowds, this hotel offers you rooms with massaging bathtubs. This piece is part of the #HipmunkCityLove campaign and sponsored by Hipmunk.com. I’m about to head to Barcelona, perfect timing!